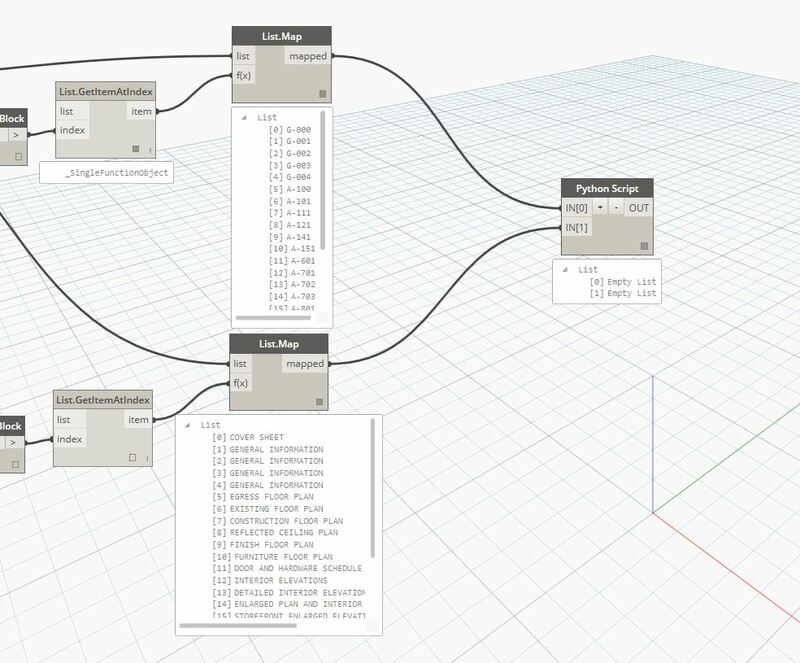 Again, that last part can be done in Dynamo without use of Python and i will be more than happy to demonstrate that one day, it’s just that today I am posting how I have been using it for a while so its proven to work. Good luck! Use it if you like but please give credit where credit us due. Thanks for your hard work and it is very useful to work out Dynamo.. Keep it up and help us! Thanks for your post. 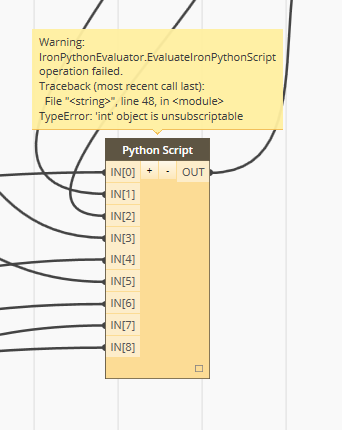 I have been trying to follow your script and Dynamo definition… Unfortuntately, I have some difficulty when it comes to Pyton script node. I have copied your script from the website into script editor… but it is not working. I could send you an email with my workout files.. Otherwise, it will be great to get sample files from you for this topic. I look forward to hearing from you as soon as practical. Junghwo, you can email me your files, but I am not sure where/if i will have time to look at them. Please describe your problem in more detail as well. I will try to help you as time permits. I have the same problem with python script. You submitted a file to me that is in Russian. I do not speak that language nor can I read it. I am guessing that the problem is the same as it was in Junghwo’s case. This script tries to set three parameters that are not built into every Revit template, they were added to the project by me: drawing list filter, drawing list group etc. Before you can run this definition make sure that you have added them to the project, your sheets and set them to be instance parameters. Of course I recommend that you just create sheets with a name and number instead. That will be a lot easier i hope. 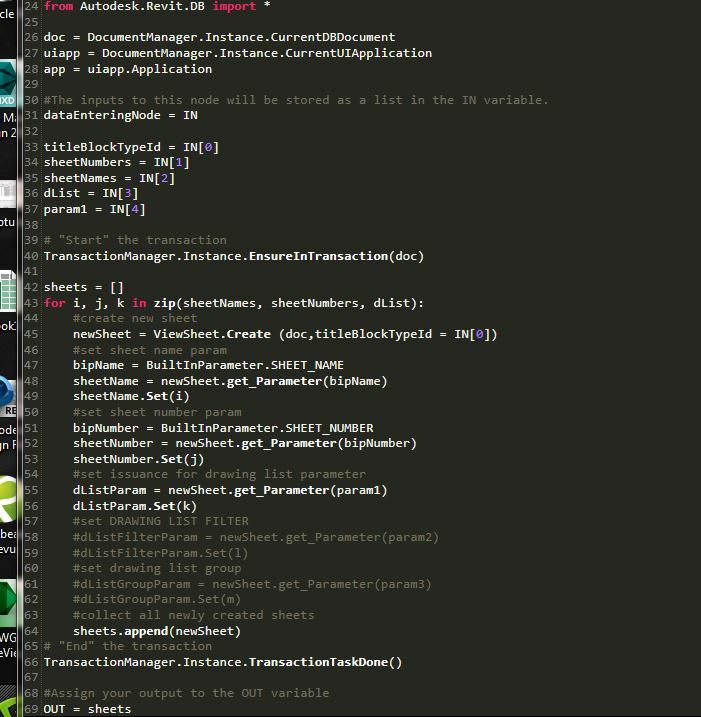 Just delete all of the code pertaining to those three parameters. It should look like the image that I have attached. With that you will only need to input TitleBlock Id, sheet names and numbers. Thank you very much for this code and setup. This is my first try at using Dynamo. I attempted to use the items provided to create a series of sheets from an Excel file using only numbers and names and no additional parameters. I’ve attempted to update the script so only the Sheet Number and Sheet Name parameters are being used. Any insight you can provide would be much appreciated. From the warning message I can tell you that line 42 has to be indented. Just tab it or hit space 4 times. In python when you start a new function like you are doing in “for i, j in zip(sheetNames, sheetNumbers):” the following line – or everything that happens inside of that function – has to be indented. That’s why “newSheet = ViewSheet.Create(doc, titleBlockTypeId)” has to be one “tab” in. Your response indicates indenting all of the lines inside the function, would that mean just lines 42 & 43 or would that mean lines 42-55 would all have a single, leading indent? Looking at things closer: The version of Dynamo that I’m using 0.7.4.3245 and does not appear to have the ElementId function that you have in your example. I’ve used the Element.Id in mine. The output from your example shows a list with something that looks like “ 414394”. From Element.Id, I only have an ‘int’ output and it’s reporting just a number “11829.000”. Once again, pardon my ignorance, I’m just trying to piece these things together. Your advice definitely helped me. Looking at the code you provided, it appears to pretty much match my hack-job edits. Thank you again, I’m up-and-running! I posted the code that was linked in the comments in this post at the bottom of the page. Hope this helps! I am sorry, but I have no idea why it would not work with Russion characters. I can’t help you here as I only have the English version of software. Please let me know if you find a solution. Could you please help me how you have created it.?. Thanks!. I am pretty new to Dynamo, but following your videos have picked it really quickly. I am trying to improve my python scripting and used this sheet creator as a good way to learn. I have followed all your tips above, but I would like to know how I get extra parameters into the sheets. In our titleblocks we have some custom parameters,, say for Revisions and other bespoke things, how can I get Python to grab these from my excel too? I have the nodes nicely set up, so the revisions are formatting into a list nicely, but not outputting. 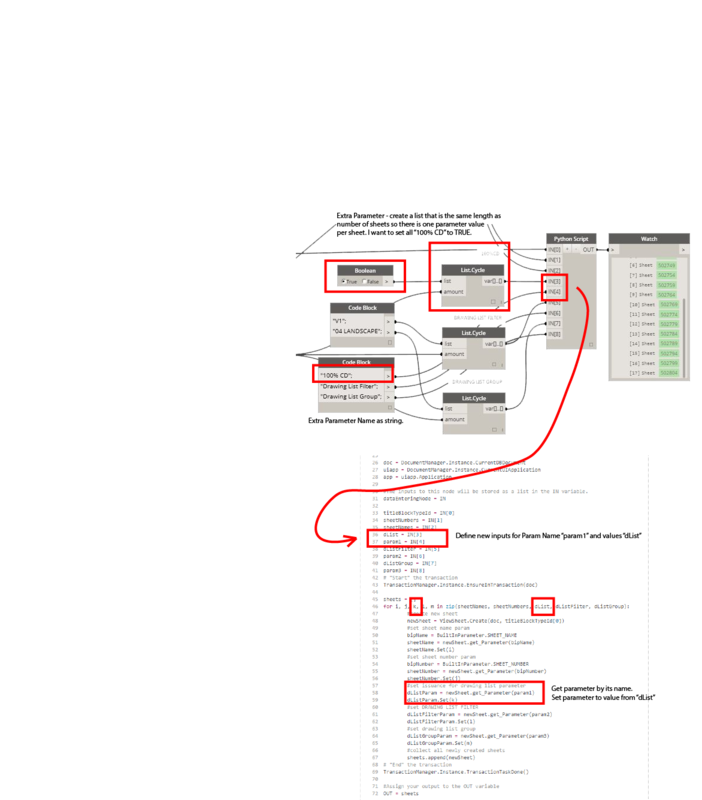 This is my script portion (the rest is the same as yours above) Within Dynamo I am referring to it as Revision, and our shared parameter in the titleblock is called AB_Revision. All help gratefully received! Please see the attached. Also, everything you need to add more parameters is in this post. I highlighted some key elements in the attached image. 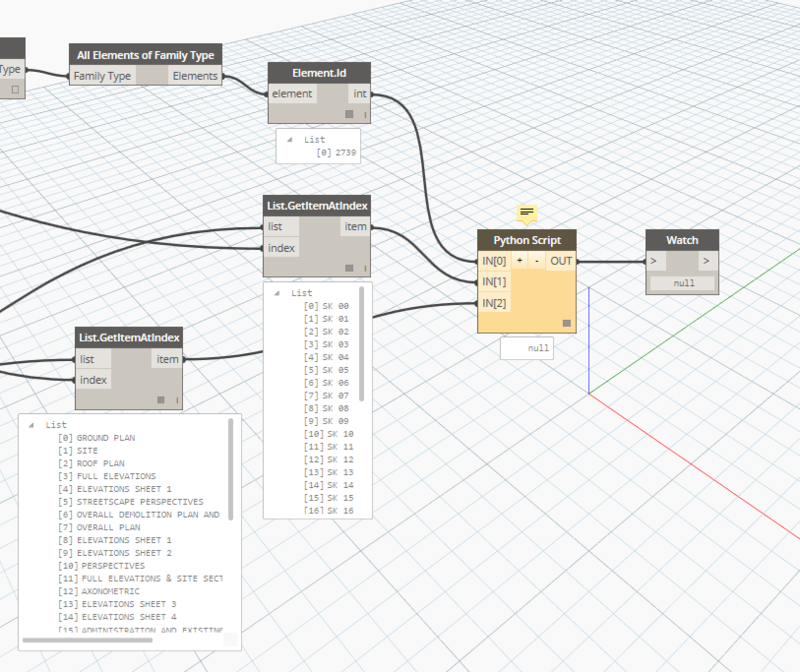 Konrad, my first experience building this Dynamo process has been fun! Though I am running into a hurdle in that i clicked on a button to update Dynamo to version 0.8.0 which as you might guess caused some problems. I surmounted a few hurdles during the rebuilding process which was easy but now i have a problem at the second Python Script stage. This is where im lost. Perhaps you’ve already encountered this problem. If and when you have a moment can you take a look and comment on my .dyn file (attached in RAR file)? It looks like your input into the titleblock type id variable is an integer instead of a list. You can either change the line that I highlighted to titleBlockTypeId simply getting rid of  or make it a list with a single item on it. Also, i am seeing that you are feeding it an integer which will not work. 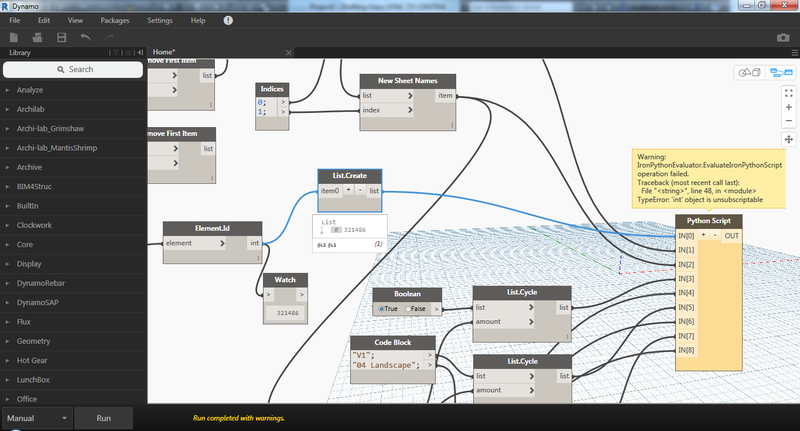 Please use archi-lab element id node and use Revit Element Id output. You will need a real Revit Element Id object and not just an integer representation of it. Good luck! I just can’t get pass this because there is no other option for reading the excel file. Again, I have downloaded archi-lab, lunchbox, steamnodes, clockwork, etc… I have also tried it in Dynamo 0.7.5 with exact same results. What am I missing here? This is very frustrating!! 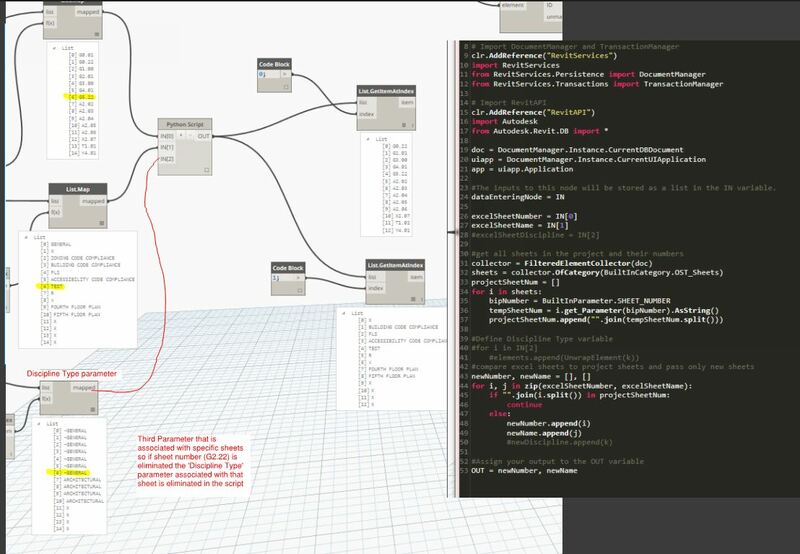 I can’t get Dynamo to do anything useful in any version… Please find attached my file, and would love to know what is going wrong. Your first input should be a FilePath and then File.ReadFromFile. I can’t see what is exactly not working but the error states that you are supplying a tuple of strings. 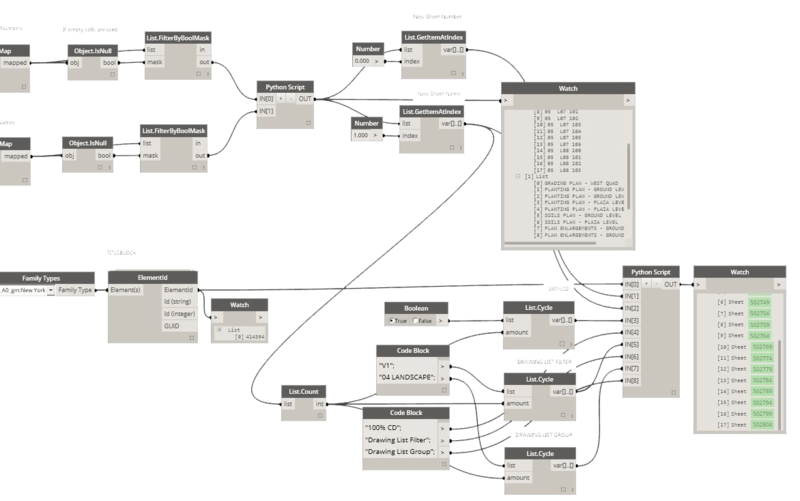 Thank you for posting great stuff on your website, and I find it’s very helpful to understand how you use Dynamo in real world situations. While I follow your Dynamo script on this post, I can’t make your python node work in the beginning. As you can see in the attached file, I get empty lists from the first python node. Sheet numbers in my Revit project are named like this, “A-100, A-110,…”. Does it have to do with the format of sheet names or something else? I know you’re very busy, but I hope I can get some answers from anyone looking at this post. Everything seems right, this is the message I get, have I missed something? Yes, an ElementId is expected and not an integer. So the OOTB Dynamo node returns an integer instead of ElementId. Use archi-lab package node that returns an ElementId as well as integer and it should work. Also, if you want placeholder sheets see attached. You might have heard about this problem a bilion times. But I’ve been through all the comments and tried all the different solutions and it still does not work. I don’t know if it is the imported family type or the Python – everything else seems to work fine. I’ve tried everything now but i still have no idea why the script does not Work. It simply shows null in the end Watch and nothing happens in Revit. Am I choosing a wrong Family type(Title block) or revit file? Kasper, can you post exactly what your steps are and what code you are using? I can’t help you from just reading the error message. I mean the error is clear. You are asking Python to execute a Split() method on ElementId object and that doesn’t work. Unfortunately I have no idea where, and why you would be doing this. Either post screen shots and i will try to answer your questions (not always possible), or post a file (zip) with troubling definition and i will have a look at my own convenience. Thanks! I am trying to create new sheet list with dynamo and add the ‘Series’ parameter but it hasn’t worked. I have attached this file. Could you please review and advise me what have been missed in this dynamo file. Was looking to create a new sheet list similar to Jamie above that has extra parameters but could not get the Python script to work. I followed the extra instructions from the attached response .jpeg but did not succeed. Any suggestions. Took another shot at trying to figure out how you would add a ‘sheet specific’ parameter that is driven by a third excel column (for my case a Discipline Type parameter). Like many my Python knowledge is lacking but going through these examples have definitely helped. I’m assuming that the parameter needs to go through your first python script similar to the excelSheetNumber and excelSheetName. Sorry if this is a novice question but how do I define the third parameter ‘Sheet Discipline’. Also note that once the script manually runs, it creates one sheet and refuses to cycle through until I manually run the script again. thanks for letting me know. I will have a look at it when I have some free time. 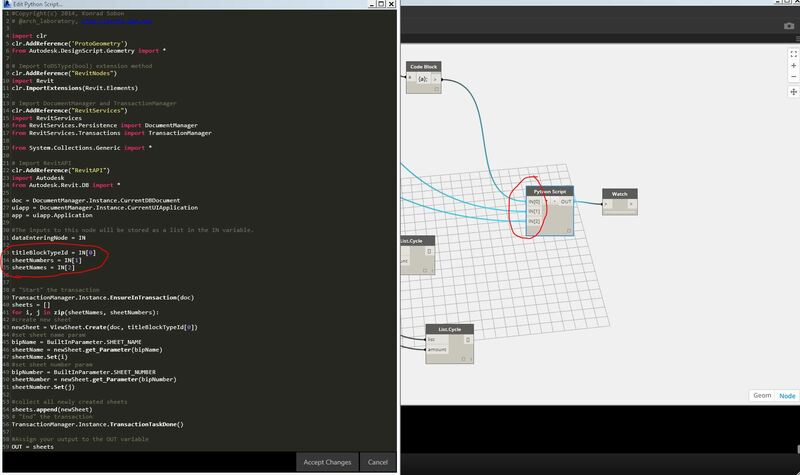 The Element.id node I have in dynamo gives an int output and not an ElementId output.